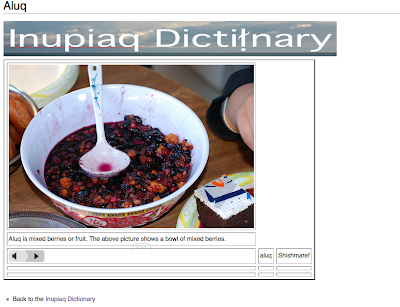 Many of my social studies classes have been consumed by our most recent project: the Inupiaq Dictionary. 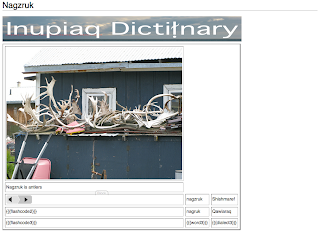 Ginger and I put our digital heads together and we came up with the Inupiaq Dictionary project. I sent my fourth hour class out into the village to take pictures with digital cameras. 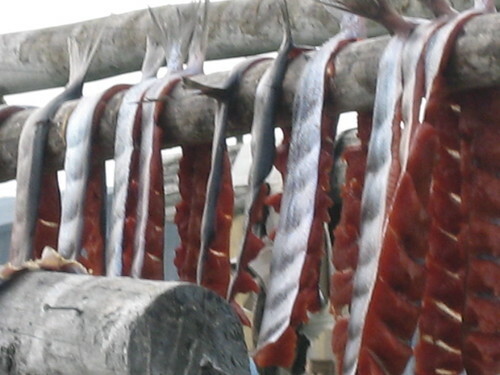 Taking pictures of Eskimo food was pretty popular. 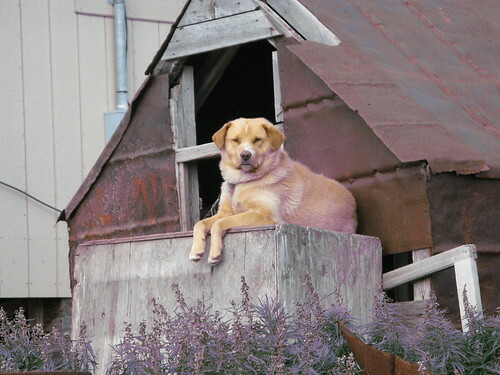 This was my favorite picture of the activity. 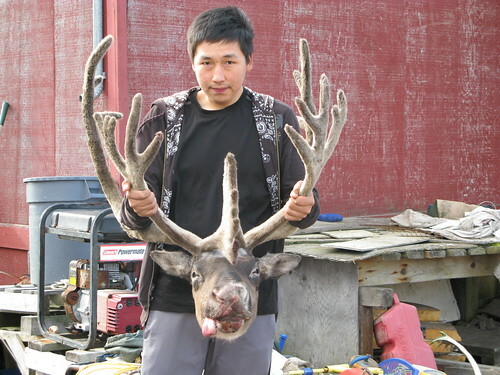 (This is a caribou head f.y.i.) I love how the tongue is hanging out. I'm not sure if that's natural or if it's the result of high school boys combined with a digital camera. Some of the pictures turned out to be pretty good quality. I was impressed. Once my little photographers had completed taking pictures, one of our bilingual instructors came in and taught the kids (and their teacher!) how to write and pronounce the Inupiaq words. It was fascinating!!! I learned that my favorite picture is tuttum niaqua. 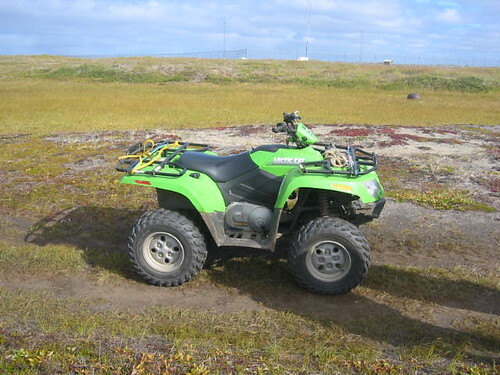 My kids took a picture of this four-wheeler (referred to generically as "Honda" - think kleenex, sneakers, xerox, etc.) to be funny. Hondas are a recent addition to the Inupiaq way of life, so they thought that there would be no Inupiaq word. They were wrong. Turns out that if there's no Inupiaq translation, you add a 'q' to the end of the word. Honda becomes hondaq. Once we mastered the pronunciations, the kids recorded their voices saying the words. Then they added a page to our School District Wiki and uploaded their sound file, picture, etc. Our school district wiki is powered by MediaWiki. Editing requires a very rudimentary knowledge of computer code. Now, I know some of my readers have been coding since birth (you know who you are...), but imagine trying to teach a crew of junior high and high school students how to code. It was at times painful. Coding is an exact art. One missed slash, and your page looks like this. 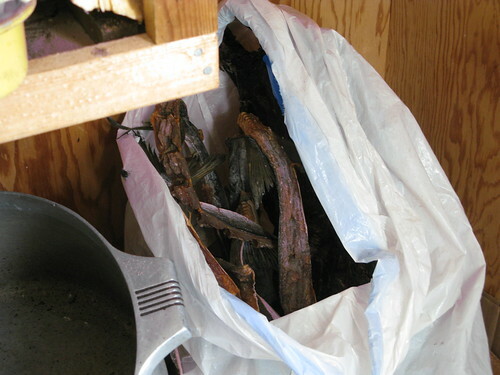 It took some time for the kids to get used to making everything perfect, but we persevered. Ginger and some other tech savvy teachers helped us implement a template, and that made things easier.